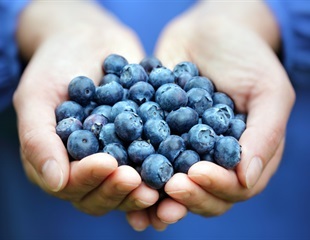 Oxidative Stress is a condition in which antioxidant levels are lower than normal. Antioxidant levels are usually measured in blood plasma. Chronic obstructive pulmonary disease is characterized by a chronic airflow obstruction that is associated with severe global mortality and morbidity. A recent study reviewed evidence from 23 controlled scientific studies to determine once and for all, whether WiFi has a detrimental effect on human health. Researchers have designed a new type of adhesive patch that can be placed directly on the heart and may one day help to reduce the stretching of heart muscle that often occurs after a heart attack. In 1982, researchers reported a link between chronic gastritis and stomach bacterium Helicobacter pylori, triggering a flurry of research into this newly-identified pathogen. Air pollution from diesel engines may worsen allergy-induced lung impairment more when tiny particles are filtered from the exhaust than when they are not, according to new research published online in the American Thoracic Society's American Journal of Respiratory and Critical Care Medicine. Genomic markers are the key in a new approach for assessing the toxic effects arising from exposure to multiple stressors. Researchers from Japan have developed a new polysulfide donor: a chemical compound composed of chains of sulfur atoms that can artificially increase reactive sulfur species (chemically reactive molecules containing sulfur) in cells and tissues. Researchers of the Bellvitge Biomedical Research Institute led by Dr. Montse Olivé have described in Nature Communications a new muscular disease caused by a mutation in the myoglobin gene. A new study in mice suggests that consuming the chemical compounds found in thermally abused cooking oil may trigger genetic changes that promote the progression of late-stage breast cancer. Why do blood vessels naturally stiffen and degrade as we age, boosting cardiovascular disease risk? New University of Colorado Boulder research has identified a surprising new culprit--and it lives in your gut. A group of researchers based in Brazil and the United States have developed a molecule that halts the progression of heart failure and improves the heart's capacity to pump blood. A diet containing compounds found in green tea and carrots reversed Alzheimer's-like symptoms in mice genetically programmed to develop the disease, USC researchers say. Low-carb diets are all the rage, but can cutting carbohydrates spell trouble for your heart? People getting a low proportion of their daily calories from carbohydrates such as grains, fruits and starchy vegetables are significantly more likely to develop atrial fibrillation (AFib), the most common heart rhythm disorder, according to a study being presented at the American College of Cardiology's 68th Annual Scientific Session.